H&M has announced that its next designer collaboration is with Moschino, using an Instagram Live call featuring Gigi Hadid. Hadid called Jeremy Scott, Moschino’s creative director, in the call, and the pair appeared together on H&M’s Instagram Live broadcast. They also wore items from the collection, which goes on sale on November 8, both online and in select H&M stores. Scott referred to Hadid as his ‘muse’ in a post-announcement video. There is a television theme to the promotions, with a test-pattern video as the backdrop. The collection itself is styled Moschino [tv] H&M. H&M says that the campaign will bridge traditional and social media with ‘a multi-platform takeover’. The call was shown on digital screens to a live audience at the Moschino party in Coachella, Calif.
‘I am so excited about Moschino [tv] H&M. My life’s work has been to connect with people through fashion, and with this collaboration I’ll be able to reach more of my fans than I’ve ever had the ability to do,’ said Scott. 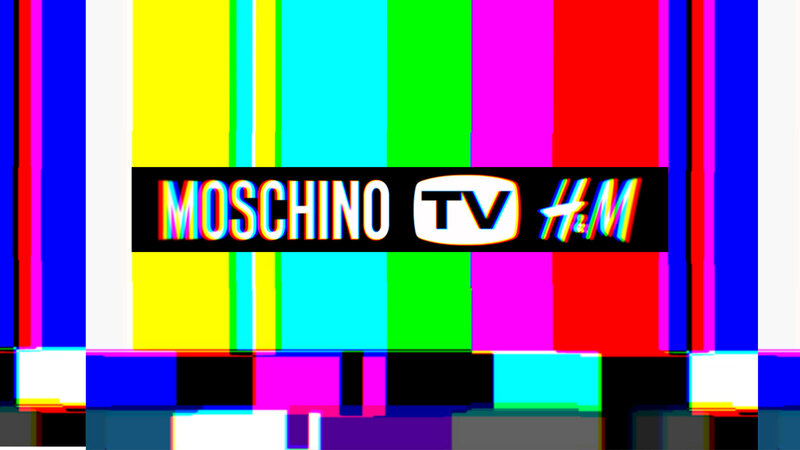 ‘Moschino [tv] H&M is the perfect collaboration for fashion right now, mixing together pop, street culture, logos and also glamour. Jeremy Scott is amazing—he knows how to have fun with fashion, and to connect with his fans around the world,’ said H&M creative adviser Ann-Sofie Johansson. A full interview with Scott appears at H&M’s website. The campaign hashtag on Instagram is #HMoschino, where there are more images and video.